← Scenes That I Love: Happy Birthday, Sam Elliott! 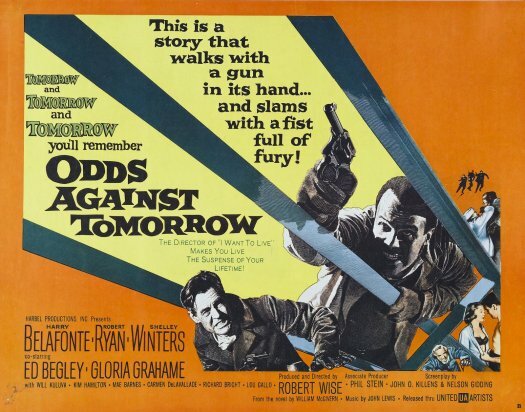 Desperate men commit desperate acts, and the three protagonists of ODDS AGAINST TOMORROW are desperate indeed in this late entry in the film noir cycle. This is a powerful film that adds social commentary to the usual crime and it’s consequences plot by tainting one of the protagonists with the brush of racism. 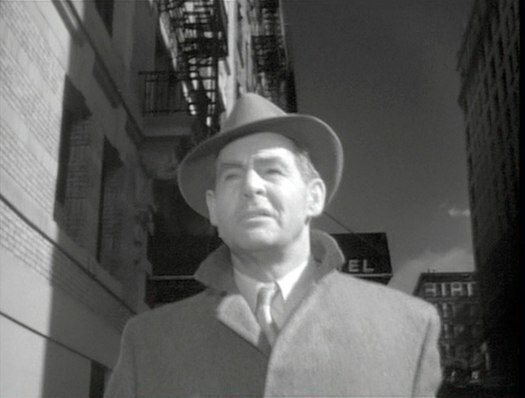 Robert Wise, who sharpened his skills in the RKO editing room, directs the film in a neo-realistic style, leaving the studio confines for the most part behind, and the result is a starkly lit film where the shadows of noir only dominate at night. This entry was posted in Film, Film Review and tagged Cracked Rear Viewer, Ed Begley, film noir, Gary Loggins, Gloria Grahame, Harry Belafonte, Modern Jazz Quartet, Odds Against Tomorrow, Robert Ryan, Robert Wise, Shelley Winters, Through the Shattered Lens, United Artists. Bookmark the permalink.